Local knowledge. 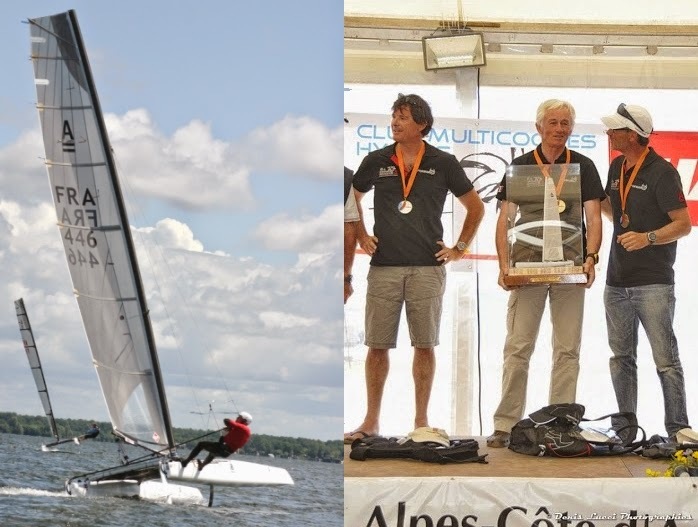 Besides being the 2013 French A-Class Nat Champ, Hervé is also coordinating efforts for the incoming Europeans to be held a Cercle Voile Bordeaux from June 20 to the 29th. There are more than 100 boats confirmed already and the limit this year will be 120-130. Last year he beat Heemskerk , Chris Field and other top guns at Hyeres to take the French Crown. Now he is dedicated to organize this 2014 Europeans that are going to be a key event for the Class in terms of defining a future long term path. For the first time also fleets will be split and Hervé is expecting to fill the 130 boat mark.